When it comes to skincare, the French know their stuff. 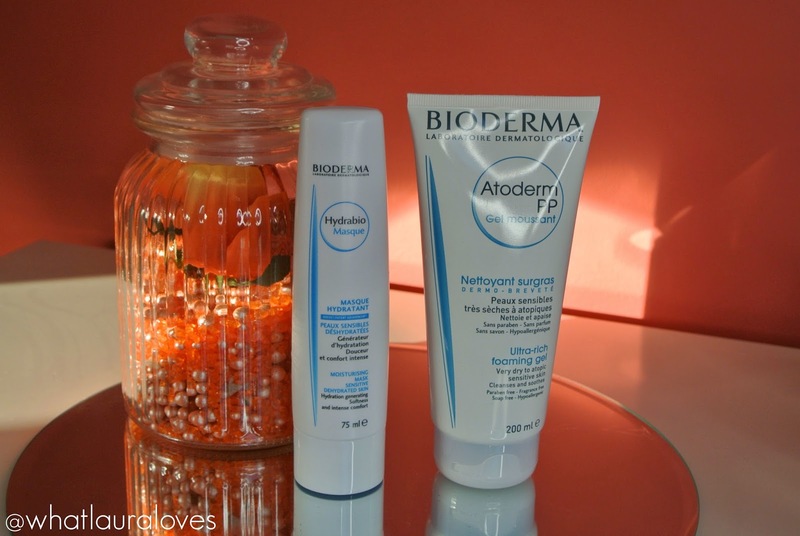 There’s just something about French skincare that ticks all of the right boxes for me, especially when its from Bioderma. 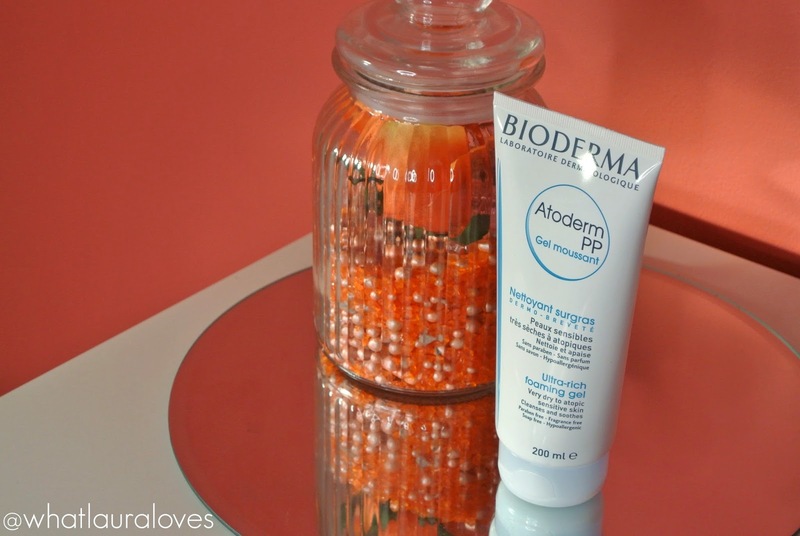 You’ll have heard of Bioderma many times before, I’m sure, as they’re famous for their Micellar Water but they have so many other good products. I’ve been trying out a couple of them recently and wanted to share my thoughts on them today. The Bioderma Atoderm PP Ultra-Rich Foaming Gel is a gentle, soap-free cleanser that you can use on both your face and body. It is from their Atoderm range which is the line designed for those with very sensitive, irritated skin and although I have oily skin, I found that it didn’t irritate my skin or make it flare up whatsoever so I would imagine it would be great for those with sensitive and irritated skin too. This cleanser helps to restore natural lipids while respecting the natural balance of the skin with its physiological pH, making it perfect to use any where on the body. I like to take this cleanser with me to the gym and I use it in the shower after my work out, all over my face and body. It is so much easier for me to do that as it means only taking one product with me rather than having to take separate bottles for different areas. I’ve stayed away from foaming products in the past for fear that they’d strip my skin and leave it feeling dry but this one doesn’t at all. It does lather up pretty well, considering it doesn’t have any soap in the formula, and it doesn’t sting my eyes. I wouldn’t use this to remove my makeup as I prefer a cream cleanser but I do really like it for washing my face and body. The Bioderma Ultra-Rich Foaming Gel is formulated with purifying active ingredients that help to clean the skin and combat the elements that are responsible for aggravating dry skin types. It does feel very gentle on the skin and it effectively cleans it without it feeling irritated. The product is fragrance free but I do think that it smells quite fresh which makes it a nice change from the sickly sweet body washes I usually use! 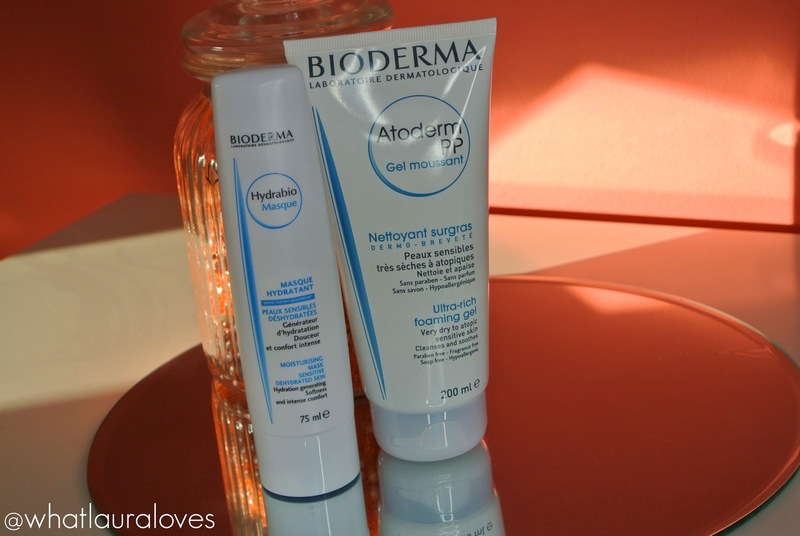 The Bioderma Hydrabio Moisturising Mask is my favourite of the two Bioderma products that I’ve been trying out and if you’re looking for something to leave your skin feeling super soft then this would be a good one for you to try out. What is unique about this mask is how you’re supposed to use it to get the best results. Most masks I’ve used recommend using them for once or twice a week but with this one, you apply a thick layer to your face and neck and leave it on for about 10 minutes before removing the excess with a cotton pad, every day for one week and then after that you apply it once every week. Although it was a bit strange getting into the habit of using it every day, the results were very apparent so it was worth while persisting with it and now that I’m on to using it once per week, I’m so happy that I started using it. This mask is from the Hydrabio line from Bioderma. This range is designed primarily for those with dehydrated skin. Although my skin is super oily, it is also dehydrated and I tend to find that I get some dehydration lines particularly around my eyes which really annoy me. This mask contains Bioderma’s patented Aquagenium biological complex that helps to stimulate in-depth moisture and lock it on to the skins surface to make the skin look and feel hydrated. What I love about this mask is that it really helped to moisturise my skin from the first use and with each day that I used it during the first week, my skin became visibly more and more hydrated. By the end of the first week, it was looking really radiant, plumped up and youthful and I didn’t have any dullness or dry patches on my skin at all. The moisturising properties of the mask do last as I found that after using it for a week and then waiting a week to use it again, my skin was still soft and moisturised throughout the week. While I did continue using my usual skincare products as well which do help to hydrate my skin, my face did have this added softness and hydration to it that it didn’t have before I used this mask. I will definitely buy it when it runs out! Bioderma products are available from Escentual. So interesting to learn about Bioderma's other skincare products besides Micellar Water. I'd love to try that cleanser. And I agree, love French products! I love bioderma and their competitor brand (La Roche Posay, also french). They're great. I've never tried those products you have but I have tried their range for sensitive skin and it's amazing.